Karen is currently not available to accept new requests. Hi :) My name is Karen, I am 25 years old and I am from Brazil. I moved to Dublin to learn English. I have class every morning in the week, in city center and my school starts 9am and finish 12:30. I love pets, and I miss them a lot. In Brazil I have a cat and I have already taken care of some dogs. Karen was a great sitter for our cat over the holidays. We hope to use her again! Our cat loved her from the first day. Overall terrific and very pleased. Received daily updates. 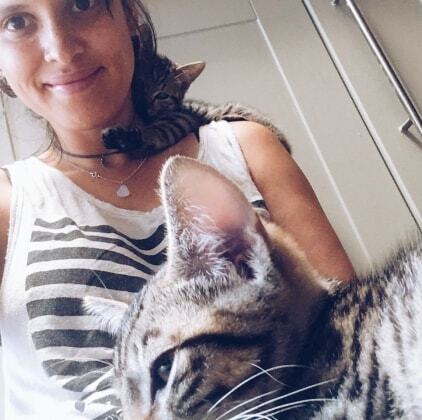 This was our first time using a cat sitter and it was very easy experience! Would highly recommend Karen and would book her again!